I’m now writing for SiliconAlley.com. You can see my latest article. Finally consumers have choice – at least those that have the technical knowledge to take advantage. Want to get out of cable but still have cable channels plus broadcast TV? 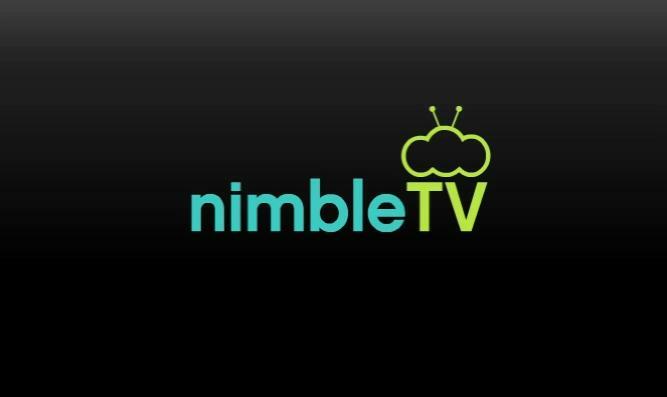 Your prescription is as follows: Apple TV, iPhone or iPad, Aereo for $8.00 month, Nimble TV for as little as $24.95 month. No contracts, you can add a virtual DVR and then simply launch a browser on your phone or tablet, login and throw the signal through the Apple TV onto your TV. 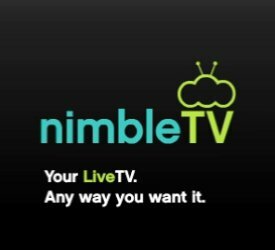 The combo of Aereo + Nimble will cost no more than $32.00 a month (unless you want more than channels than the minimum) and you’ve got TV. Cable TV channels and broadcast. But more on this in another pub shortly. There are really some other very cool non-cable broadcast channels coming out. I’d them term them ‘off Broadway’ TV channels. Some call them online channels. But they are as good as some cable channel programming offerings and maybe some are even better. The Jim Henson Company is launching an ad-free channel online with full episodes of Henson’s kids and preschool titles like Sid the Science Kid and Fraggle Rock. The channel will be available for $2.99/month or $24.99/year. The company is also launching a Spanish-language channel, which will be available for $1.99/month or $17.99/year. Sesame Street will also offer full episodes on its paid channel when it launches. National Geographic Kids’ channelwill be available for $3.99/month or $29.99/year, offering long and short-form videos aimed at kids ages 6-12. It will include a mix of library and original content. Acorn TV, a streaming service focusing on British classic TV programming, is also launching with a channel that’s available for $4.99/month. B-movie film director Roger Corman will launch a paid channel this summer called Corman’s Drive-In. It will offer more than 400 feature films that have been produced or directed by Corman. These include Grand Theft Auto (Ron Howard’s directorial debut), The Cry Baby Killer (Jack Nicholson’s first film), and Fire on the Amazon (Sandra Bullock’s first film). The channel will also serve as a potential distribution outlet for new films in production. We love Roger Corman! UFC’s channel will feature classic fights and full versions of older UFC pay-per-view events. It’s available for $5.99/month. Then there’s Entertainment Studios, which has launched eight paid channels on YouTube, spanning a bunch of different verticals, from cars to comedy, pets, recipes, and entertainment news/pop culture. One of the eight channels, which is titled Smart TV offers “best of” programming from the other seven networks for $9.99/month. HuffPost Live will arrive on AXS TV, a network backed by Mark Cuban, CBS, Ryan Seacrest Media, AEG, and CAA, on May 13. The interactive streaming news network will run for six hours a day, from 10am to 4pm. Yahoo unveiled partnerships including a brilliant the deal with NBC Entertainment and Broadway Video to become the exclusive US home to all Saturday Night Live archival content, and a similar agreement with World Wrestling Entertainment (WWE). This is especially key now that Seth Meyers is taking over for Jay Leno – the repeats should garner some heavy online traffic that advertisers should eat up. The Cheap Life with Jeff Yeager, an original how-to show on AARP’s YouTube channel, has topped 1 million video views. The show focuses on providing tips on spending smart and enjoying life at a fraction of the usual cost. And finally there is the Jerry Seinfeld show Comedians in Cars Getting Coffee. The meaning of something, of course, is relative. show features Seinfeld just cruising along with friends such as Seinfeld co-creator Larry David, Seinfeld co-star Michael Richards, Ricky Gervais, Alec Baldwin and Colin Quinn. That covers the comedians in cars; presumably, the getting coffee part will come a bit later. The show debuts on Crackle July 19th. All in all I’d say online programming is growing up. The cable operators will soon take notice – more than likely too late. Confusion Reigns Supreme with Online Movie and TV Streaming Services. Consumers are the losers. 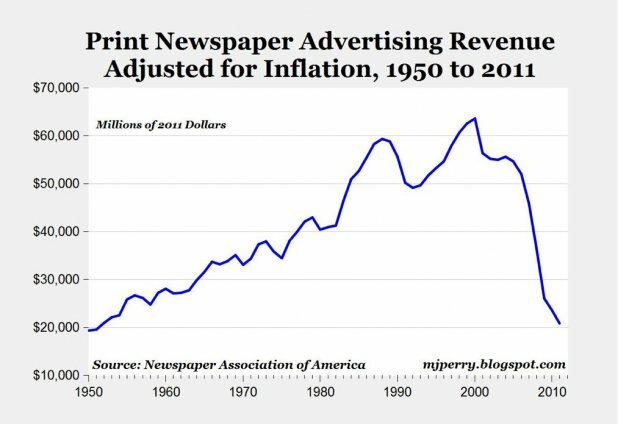 Recent shifts in technology due to the Internet have destroyed the profitability of several industries including the newspaper and music businesses. The next business that will be made over by technology is television. The profitability of owning TV networks is being undermined by digital video recorders, internet-enabled on-demand viewing, Netflix, Hulu, YouTube, and piracy/theft. 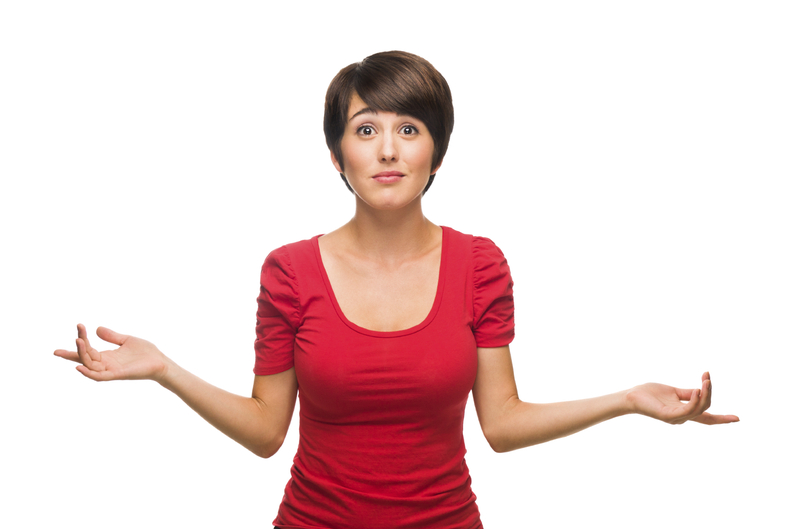 In this post, I’m going to list many if not all of these choices currently available to you and me – and there are WAY TOO MANY. And a lot of amateur content is taking up an increasing portion of a viewers’ time online and on mobile/tablet devices. You Tube has how many new original channels? I mean unless you’ve got absolutely nothing to do 24hrs a day other than veg in front of a computer and or TV, you can’t ingest even 10% of this content. 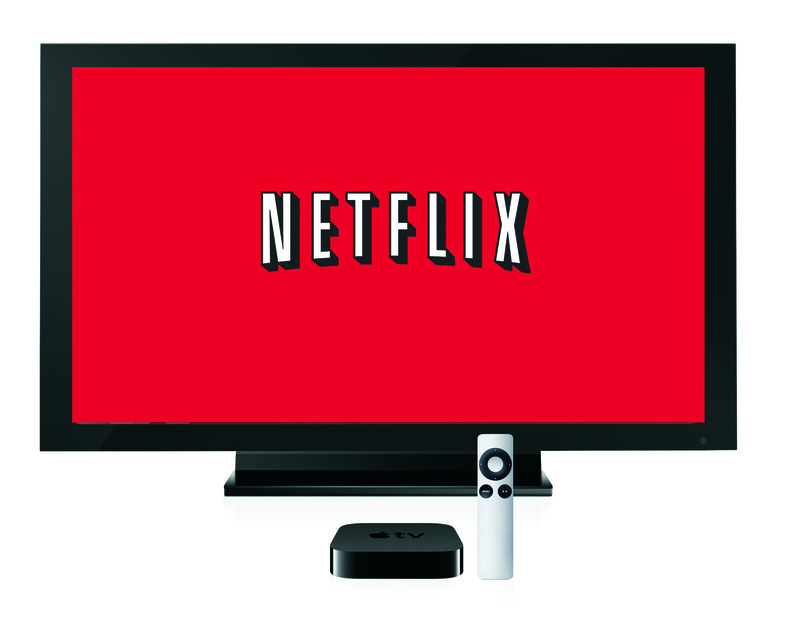 Consumption of network and cable content is taking place in ways that allow viewers to circumvent high monthly cable bills, avoid watching commercials, or both. The new Barry Diller backed ‘Aereo’ – https://www.aereo.com/ will indeed disrupt cable and pay-tv as never before. Every single one of these changes represents a move to a revenue model that is less profitable than the one currently enjoyed by the TV networks. It is simply a matter of time before the revenue and profitability of the major networks begins to fall seriously erode. 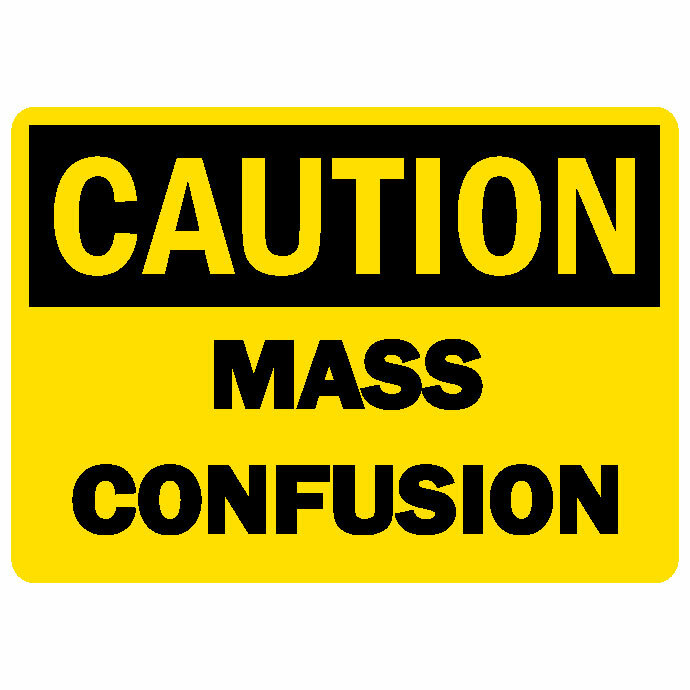 Hollywood releases maybe 10-12 ‘big’ picture events every year and all of the releases are timed by Holidays (Thanksgiving/Christmas, July 4th, Memorial Day, Halloween, and Labor Day weekends). Independent movies are released around these times and are scattered throughout the year. Years back when DVD’s were released, those releases in the stores reinforced the theatrical releases with a barrage of marketing. You saw the same big pictures being marketed again in 6-9 months after the theaters. So, when you went to Blockbuster you had a ‘a-ha’ moment. You’d say, oh yeah, I remember that movie, I missed it at the theaters and you would rent it. It was pretty clear what you saw, what you missed and what you wanted to see again. Then, HBO and Showtime would re-market the same movies in their PAY-TV window approximately 10-12 months after the theaters. They’d remain there for 24-36 months sometimes even longer. When Pay-TV was in its heyday, there was a ‘pay’ content war between HBO and Showtime. Some studios had exclusives with HBO, some with Showtime. To the average consumer, this didn’t mean all too much. No one wanted to watch a Paramount movie, they wanted to see ‘Fatal Attraction’. Maybe with the exception of which pay-tv service had Disney movies (if you had kids). Now, that doesn’t really matter too much as kids watch gobs of shows on basic, Nick Jr., etc. 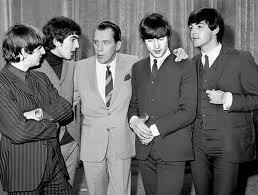 Over the years, HBO got wise and supplemented its schedule with well produced original programming and still is. 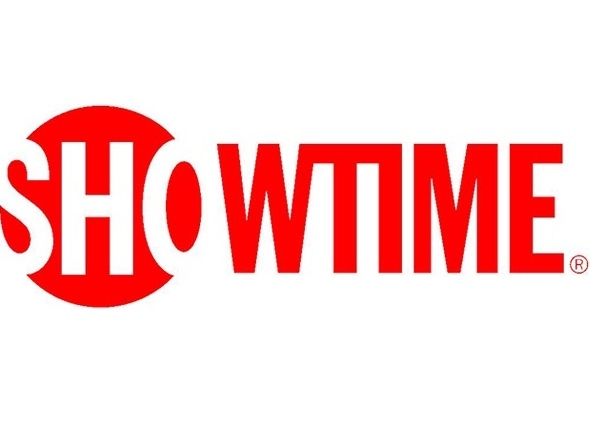 Showtime followed with its original programming and both duked it out with Sports, specifically Boxing. Time shift forward, now it’s a war between Netflix and HBO. Its not HBO and Showtime, but Netflix – http://goo.gl/0N2No . And its not only Netflix, it Amazon Prime, Hulu plus, iTunes and a myriad of other streaming offerings. I’ve compiled a list below. But the bottom line is how does anyone really understand what they are buying? If you subscribe to Netflix, can I see Disney movies? Will I get mega-hit from Universal like Jurassic Park, Les Miserables, and Despicable Me Part 2? Or do I need to subscribe to several streaming services? And, which ones? And down the road very soon Barry Diller’s back Aereo TV will expand to 22 cities – https://www.aereo.com/. Why is this disruptive if it only offers ABC, CBS and NBC as the primary driver of the service? (more on this later). Here is the list ( I hope I’ve got most included). I’ll admit I am confused as everyone else and I’m not going to buy or subscribe to more than one service especially when I don’t even know that if I do, I’ve essentially duplicated the movies and content I’ve subscribed to. 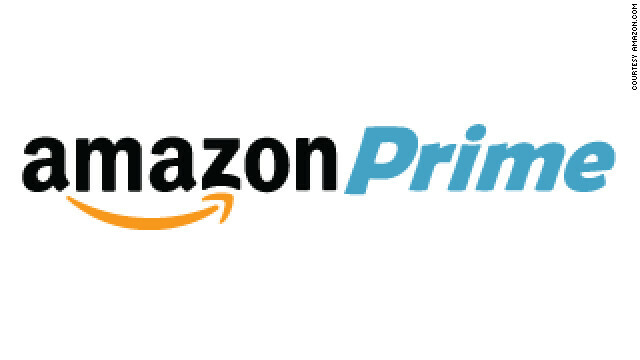 Amazon Prime Instant Video – The Prime Instant Video library consists of over 30,000 movies and TV episodes, which can be watched via any device the streaming service is available on, including the Kindle Fire, iOS devices, Roku, Xbox 360, PS3, and the Wii U.
Ultraviolet – Studio driven answer. Welcome to DRM land. Microsoft’s X-Box – a Gateway to Netflix + others. MoviePlex Play – Starz Play currently offers approximately 400 film and TV titles, including 300 movies and 100 episodes of Starz original series. Encore Play offers about 900 monthly selections, while MoviePlex provides access to 200 more movies every month. Avail-TVN’s View Now – ViewNow’s library of movie content includes titles from both major and independent studios, which can be delivered in MPEG-2 and MPEG-4, as well as a range of adaptive bitrate (ABR) formats, to traditional set-tops as well as internet-connected devices like PCs, smartphones, and tablets. In addition to multiplatform rights, Avail-TVN says ViewNow includes download rights on a large number of titles. M-Go – new app that elegantly streamlines all of your media together in one place including movies, music, TV and more. Formed in 2011, M-GO is a dynamic well-funded startup sprung from the cooperation of Technicolor and DreamWorks Animation. 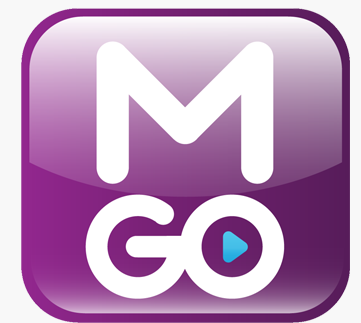 The M-GO app will be available for download for free on all major operating systems. M-GO is preloaded on 2012 Samsung and Vizio Smart TV and Blu-ray players as well as Intel Ultrabooks, totaling up to 30 million installed devices. Watch ESPN is now available on Amazon’s Kindle Fire and Kindle Fire HD devices. Free to download via the Amazon Appstore, the TV Everywhere app offers access to live sports and channel programming from ESPN, ESPN2, ESPNU, and ESPN3, as well as ESPN Goal Line/Buzzer Beater when in season. As is the case with other WatchESPN editions as well as other TV Everywhere services, to access the content the viewer needs to first have ESPN in their TV subscription package. In conjunction with announcing the Kindle Fire app release, ESPN also revealed some end-of-the-year numbers on how WatchESPN is faring in terms of distribution and availability. The sports network says that total downloads for the WatchESPN app, which is now available in the App Store, Google Play, and the Amazon Appstore, more than doubled in 2012. It’s now available in 46 million households nationwide as six of the top 10 cable distributors also provide access to the service. EPIX plans to launch a streaming app for the PlayStation 3 during the first quarter of 2013, followed by an app for the portable PlayStation Vita console sometime in the spring. The apps will offer more than 3,000 titles, including blockbusters such as The Hunger Games, Thor, and Mission Impossible: Ghost Protocol, as well as EPIX’s lineup of original programming, which features music concert, comedy, and sports events. The apps will be available to PlayStation Network members in the US as a free download. Users will need to authenticate their EPIX TV subscription in order to watch the content. Television is no longer TV, its IP! The old generation networks: ABC, NBC, CBS and FOX. The new-generation networks? 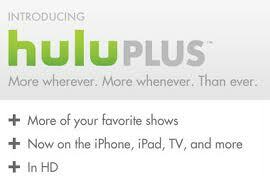 Hulu Plus, Amazon Instant video, Netflix and YouTube. Consider this: Microsoft recently reported that Xbox 360 owners spend more time online watching video and listening to music than playing games. The company announced 35 new entertainment partners being added to the Xbox 360 in the next year, including the NBA, NHL, Nickelodeon, and Univision. ESPN is expanding its programming on the Xbox to include live feeds of all of its channels. 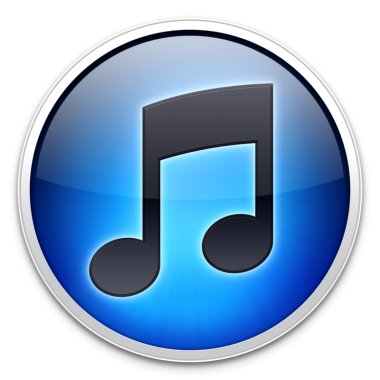 Microsoft is also launching a music service to compete with iTunes. The Wii U, debuting this fourth quarter, will also feature Netflix, YouTube, Hulu Plus, and Amazon Instant Video. And, Outside of games, the PlayStation Network also now delivers access to streaming content from Hulu Plus, Cinema Now, Amazon Instant Video, Netflix, NFL Sunday Ticket, NHL Game Center Live, MLB.TV, ESPN and Crackle TV, while users will soon have access to YouTube from the PlayStation Vita. You’ve got wonder, how will Nielsen ever be able to count the eyeballs watching? At this point, they can’t. They are the ‘dinosaur’ technology. When my Mom and Dad had breakfast in the mornings, they would pass the newspaper back and forth. Back then, I looked at the classifieds for things to buy second hand and they even had a classified section in most magazines and papers for the ‘personals’. Wanted to go the movies (you know the movie we saw ‘advertised’ by trailer last night during a network show on CBS, say Ed Sullivan or Mary Tyler Moore), we checked the newspaper. Real estate listings and needed to buy a used car? Newspapers. Then the music CD died and the way music was listened to and purchased changed. No one could believe that there wasn’t going to be any more music CD’s nonetheless a Tower Records or Wherehouse to close their doors. But they did. And the CD has all but disappeared. Movies? Same thing is happening and will happen. It may take longer because of the nature of the medium. Movies are different than music in that the files are way larger and with music you listen to ‘Hotel California’ or your favorite music many times over and over. Movies? How many times can you watch the same movie over and over. 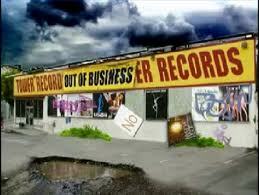 However, Blockbuster and stores like them are disappearing. Replaced by iTunes, RedBox, (and RedBox I believe has a limited life span even though they are going gang-busters today), Amazon Instant Prime, YouTube, IMDB (yes you can buy movies and stream them there too) and many others. Even Wal-Mart is in the mix (Ultraviolet and VUDU). In my generation and others behind me, its what you owned and had that was important. Today, its how you access it. No ownership. No physical ownership that is. Its just not important. When and how you get it, is. The final frontier is the television. And it’s a big frontier. And, there is more at stake than a plastic CD in a rectangular box that will disappear. Advertisers and the big 4 networks stand to lose the most. Including producers, writers, actors and the like. 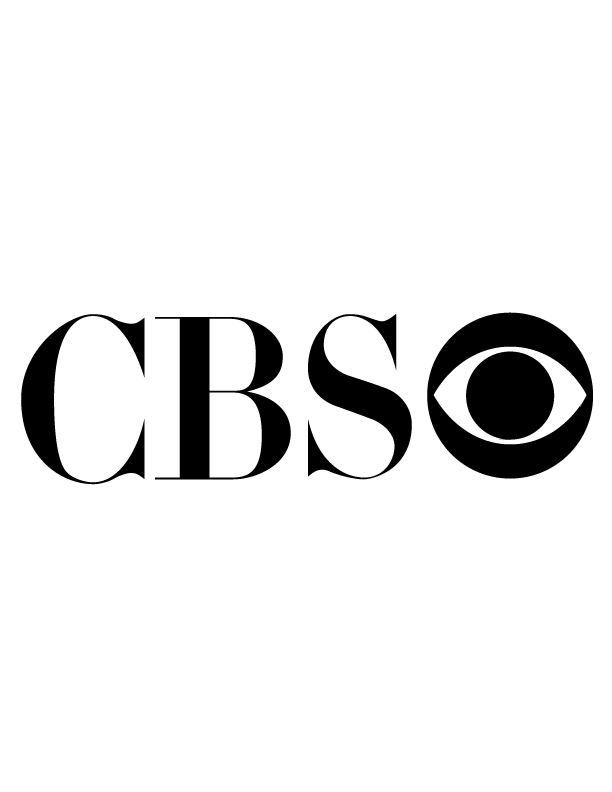 Add a DVR into the mix and the new choices that the younger generation has now and you’ve got a real problem CBS, NBC, ABC and FOX. The upfront TV buying season which some estimate generates $19 billion fuels most everything we see on TV. About $9.5 billion for network and $ 9.9 billion for cable. So, when Game consoles, tablet makers, mobile phones and the like are all putting mainstream content up and online for consumption, someone stands to lose. Another way of thinking about this would really be a shift of dollars from Network and Cable to third screens. It won’t disappear but in ten years it’s going to look awfully different than it does today. And the way all of this is counted and rated will actually become easier than how Nielsen has done this for decades ( a diary that you write in? Really?). A new report from Nielsen, the TV audience ratings and measurement people, shows that the number of people who watched TV at least once per month—a pretty low bar—declined from 90 percent of the population to 83 percent last year. Proportionately, that means TV lost 8.5 percent of its audience in 2011. 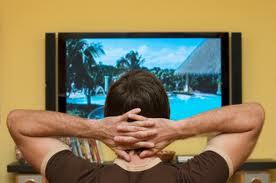 As many as 17 percent of people never watch TV, the survey of 28,000 consumers in 56 countries. That’s a huge loss of interest in a medium that in industrialized nations is regarded as a standard like electricity or hot running water. The number of people watching video on a computer at least once per month is now higher, at 84 percent, than those watching TV. The implications are obvious. Some not so obvious. One is that cable affiliates pay big fees to Networks for carriage. If no one is watching, no one will be paying. And, younger kids don’t care what ‘network’ its on, they care when it will be available to see on Netflix or Hulu Plus. A real shift in economics and habits. And I don’t think the TV industry is paying attention. But they will, they will have to. Welcome to the new world of multi-screens and time shifting. 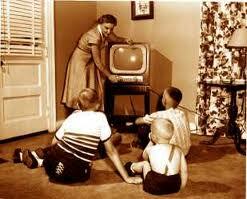 TV as we once knew it not TV, its IPTV. Can cable TV keep its ‘teflon’ coat afloat? Cable TV. Its been resilient during the recession. Almost like Teflon. Will online video providers emerge as direct competitors or complements to the $69.8 billion U.S. TV subscription market? 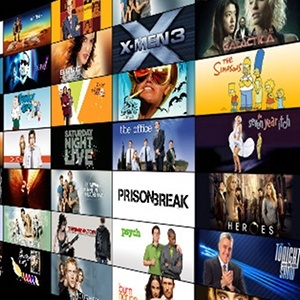 If over 88% of all the full-length TV program episodes available in the $10/mo subscription service are already freely accessible on Hulu.com. For clips, it’s almost 98%, then why would I buy a subscription to Hulu +? “Online video is not a substitute” for multichannel video programming, Comcast recently wrote in a filing to the FCC responding to complaints from competitors this month. “In addition, several impediments – technological, pricing related, and rights related – make it highly unlikely that online video will become a substitute” for such service “in the foreseeable future,” it continued. So is cable really safe? 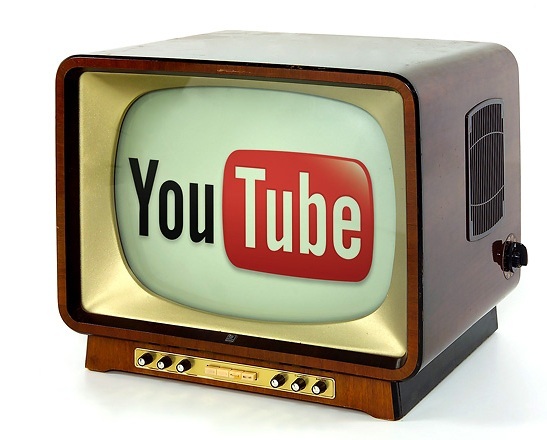 Today, Google announced that it will jump into the pay-per-view market, via YouTube. Newer film titles would cost about $5–a bit more than the $.99 to $3.99 YouTube charges for the older films currently available in its fledgling pay-per-view catalog. Presumably, there will be some sort of integration with Google’s forthcoming Google TV platform, though details are scant. If the company does manage to roll such a service out, we’ll soon see YouTube going head-to-head with Apple’s (AAPL) iTunes, Netflix (NFLX) and Hulu–and in a big way. Yes, Google’s got reach and numbers. Yes, they could market this probably better than most. But the cable TV business has been in this market for years. And they are terrible at marketing the service and always have been. Part of the problem has been a rights issue with Hollywood (the old ‘day and date’ issue with DVD releases). Day and date issue won’t go away either, in part because Red Box is putting too much $$ into the studios pockets and it a hedge against Netflix. However, Netflix is also putting a lot of $$ in the same pockets. And, most of us still prefer the large flat screen TV over a laptop screen any day. But one of the most fervent and least discussed impediments happens to be pay TV. The likes of HBO and they swing a very big stick. HBO gets rights to movies, and BIG titles, for many, many years. Its the ‘pay-tv’ window that keeps coming back and back and back. 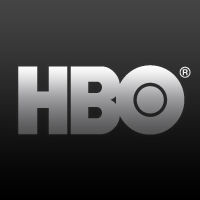 You see HBO has 41+ million, HBO and Cinemax U.S. subscribers (as of December 31, 2009). At an average subscription fee of $12.00 per month, that $492,000,000 million dollars PER MONTH in subscription fees. Yes, part of that goes to the cable ops for carriage, but thats still a BIG number. So, when HBO goes shopping for films and locks up movies, it does so for years. AND, those rights prevent many forms of PPV exposure, both online and terrestrial. Which bring me back to cable TV as a whole. I recently disconnected 3 out of 4 HD boxes in my home and got rid of my last ‘extra’ tier. I have kids in the home, so luckily Nick Jr. and Disney for Kids is carried on plain the old basic tier (are you listening cable operators?). Had those two channels been on a tier that I would have to pay for, guess what? I would be buying that tier. Other than that, ABC, NBC, CBS and Fox are the most valuable channels to me. Why? I can’t rent tonight’s Network Television programs. I might be able to see some of them online but I’m back to my computer screen for that. The Emmy’s, Football, Baseball, The Academy Awards, local news and network news and other programs of this sort we all get for free – today. And its all delivered over cable TV. Until I am able to transmit an online URL to my flat screen TV, Hulu +, Netflix, Google TV, Apple TV and the rest are not compelling enough to pay…$5.00 a movie or $ 10.00 a month on top of my basic cable subscription. So, yes, cable TV is fairly resistant to the recession and ‘online’ competition today. 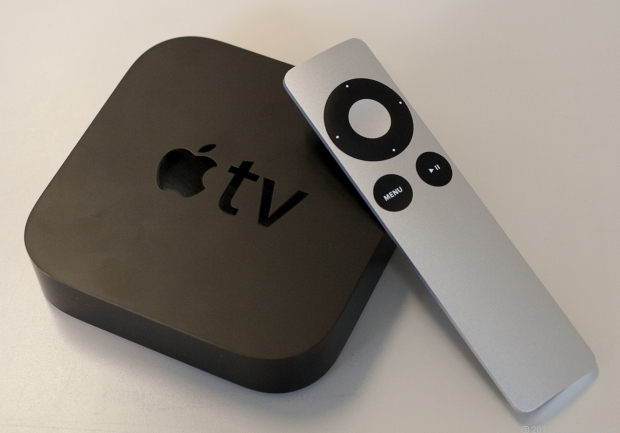 My guess is that Steve Jobs will announce a ‘rental’ service for Apple TV. And yes, others will come. But for today, cable is king. And please don’t move Disney for Kids and Nick Jr. to another tier! Will TV last as it is today in its present form? What’s going to happen when we can watch anything on-line we see on TV today or in the theaters instantly on-line (and that image is delivered to your living room or any TV) ? What happens to the ‘per subscriber’ guarantees that programmers pay cable ops to carry their satellite feed? And when I can get CNN for free on-line instantly via the Internet? Or Noggin? Or Lifetime? Or Disney? Right now I subscribe to Time Warner – I get about 150 channels. I think we watch the following: 3 ‘local’ channels (ABC, NBC and CBS), Lifetime (wife), Noggin and Boom (daughter) and ESPN and an occasional HBO movie. That’s 8 channels. If I pushed that I can probably include several others like Turner Classic Films, AMC and Discovery. But not too many beyond that. Since I can remember, cable companies have controlled what I watch and when I watched it. If a cable op. didn’t like the a channel, it wouldn’t carry it and we couldn’t see it. We were in a closed, 4 wall environment. We are still in that environment, but the walls are coming down. Very slowly. And the big three TV guys are in total denial. They are programming like its still 1999. In this new world of ‘TVnomics’, I no longer need to hope that my cable operator will carry a particular program. With the likes of Hulu, YouTube, TV.com, and a few other content aggregators, I’m no longer tethered forever to Time-Warner. 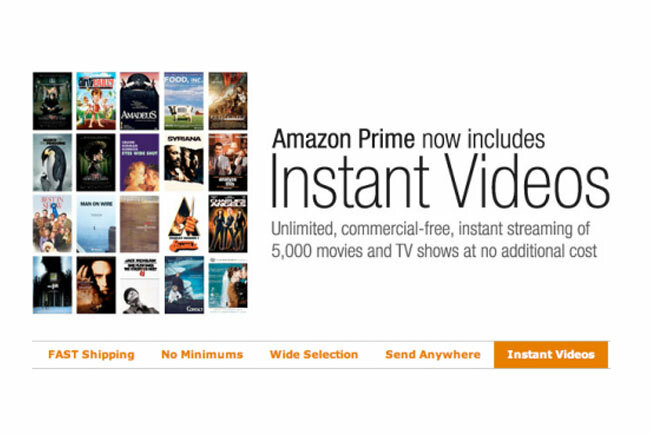 Using Amazon or Netflix I can watch on-line nearly anything I can find on my Time-Warner delivered TV service. And this has only really been possible since approximately 2 yrs. 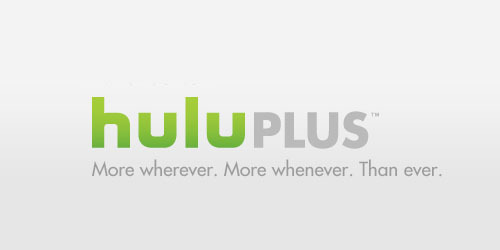 and 3 months ago (May, 2008) when Hulu launched. So we have been seeing very ‘non-traditional’ programming hawking itself as a TV show for the web. Shows on no budgets, small ones and even big one. Some of these shows are being pushed out to the web by the networks (trying to find some viewer traction), and some by independent suppliers. All of them for the most part are sub-par and relatively few advertisers have climbed aboard. Instead, the networks think that if they tease the traditional TV audience they have with bits and snippets of content found on TV pushed onto the web, they can have TV on the web or call it ‘Web TV’. Why in the world don’t CBS, NBC or ABC stream this ‘live’ simultaneously with broadcast? Why can’t they put the same show and advertisers on-line day and date with its broadcast on TV? Won’t this substantially help grow the very business on-line they fear now? Yes, I bet it would. And in the long run, not too much of what they can do will prevent us all from getting it on-line. 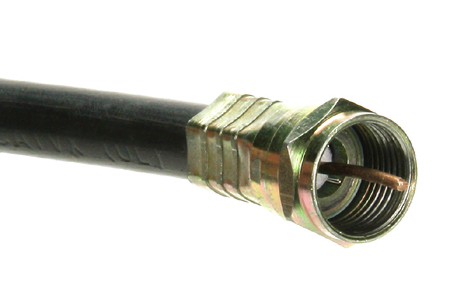 Once the majority of us have fat pipes able to deliver a TV show and watch a show seamlessly (think FIOS) as if it WAS TV, then instead of their being 95 million cable homes and 200 million homes with TV’s, there will be hundreds of millions of homes with TV’s – they’ll just be connected to a fat, dumb pipe. This changing of the guard won’t take that long – figure in the 5 years or so, things will REALLY shift. TV Guide – Where are you? Next question: how does one decide what to watch, when and where? There is no ‘TV Guide’ like there used to be. TV Guide used to be the Kleenex of how you looked up what was on TV. That was it. Someone asked what was on TV tonight? You told them to look it up in TV Guide. There should be some kind of universal online TV widget that displayed a guide to what’s on TV online each night in prime time, like a TV guide for your desktop (I’m surprised that Adobe ‘air’ doesn’t offer a widget like this. I might like to know that I can see ‘BattleStar Gallactica’ on hulu the following night it airs on traditional TV. Boy, would I use that. A little advertising at the bottom and there you go. ~b.